Coach Herrick is a USATF Level 2 and RRCA certified coach. She fell in love with running in high school and went on to compete at The College of New Jersey. During and after college Coach Herrick worked at the 5-Star Cross Country Camp, where she shared her love for running with youth campers. For eight years she oversaw all female campers as the Head Girls’ Counselor. She was also a part of the cross country coaching staff at Wayne Valley High School in New Jersey for four years. 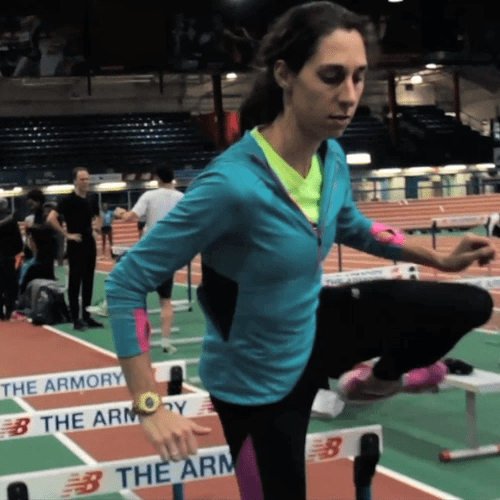 After college Coach Herrick joined the Central Park Track Club to pursue her running career. In 2012 Coach Herrick moved to New York City. She worked as a personal trainer at David Barton from 2012 – 2014 and coached the cross country team at Columbia Prep High School fall of 2013. Today Coach Herrick continues to compete for the Central Park Track Club in distances ranging from 400 meters to 8000 meters, with a specialty in the 800 meter run. As the current Manager of Youth Program Development at New York Road Runners (NYRR), she strives to instill in children the NYRR motto “Run for Life”. She believes that consistency, structured progress in workouts, and listening to your body are key elements to successful training.